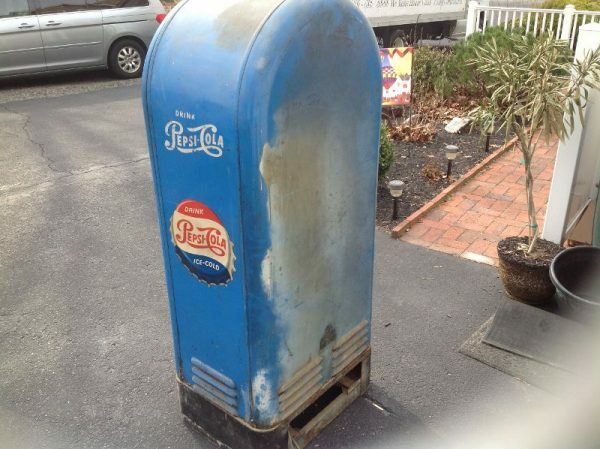 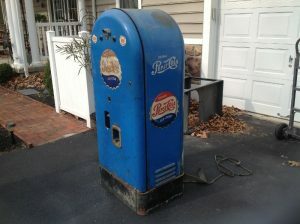 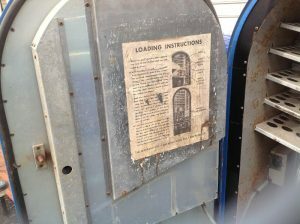 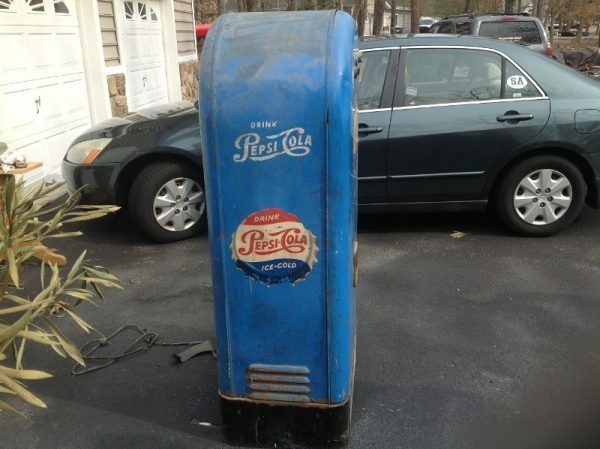 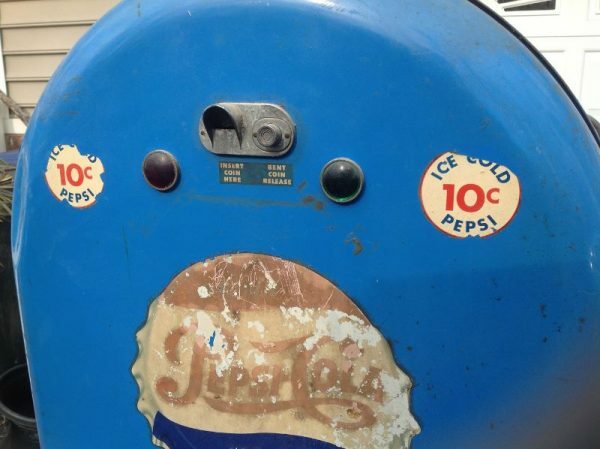 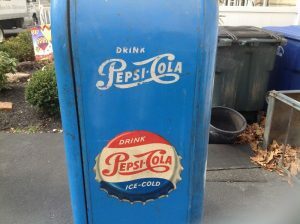 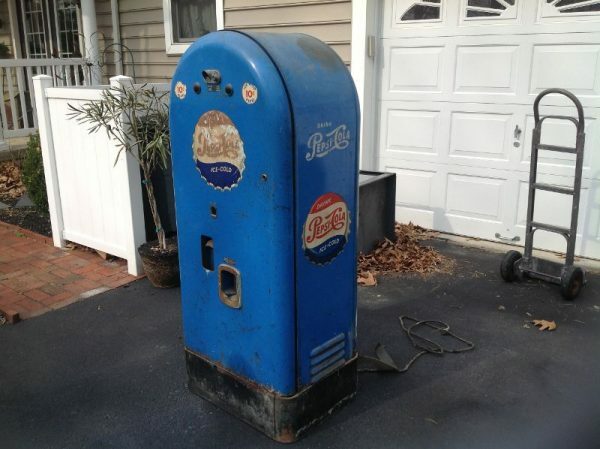 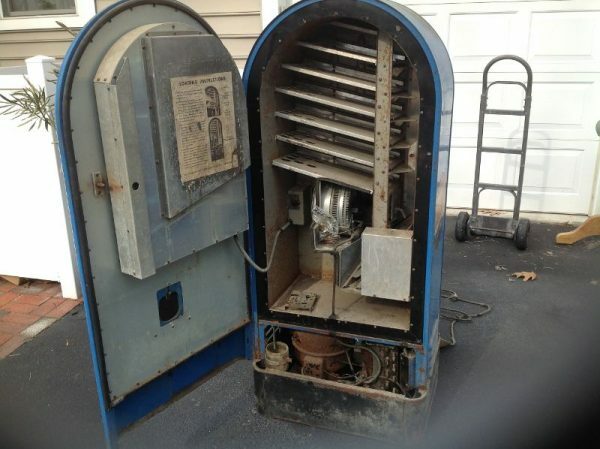 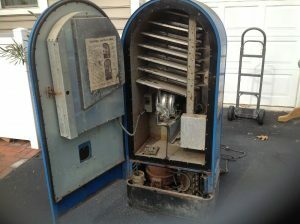 1950’s mid-century Jacob’s Pepsi Cola soda vending machine in as found condition. 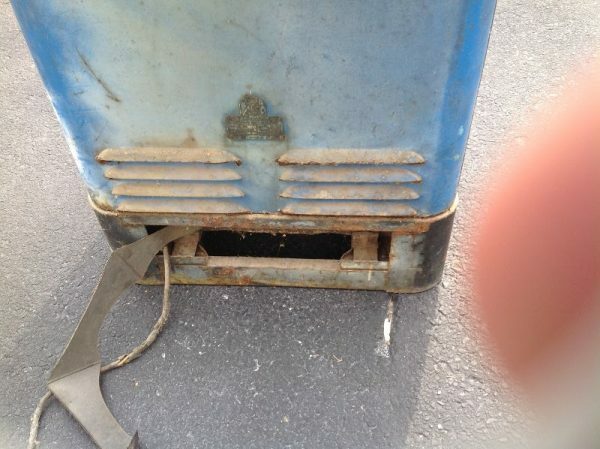 Appears to be complete with original cord. 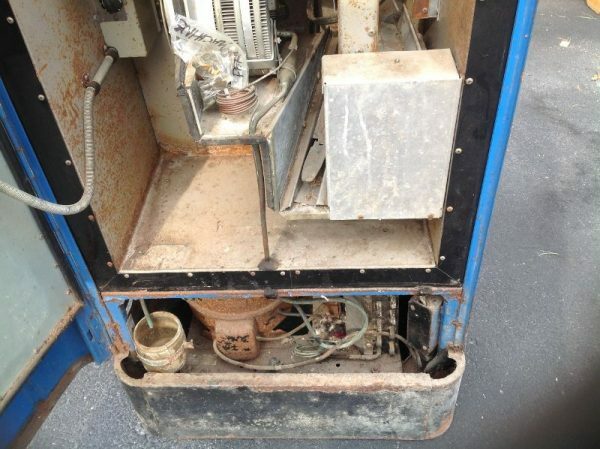 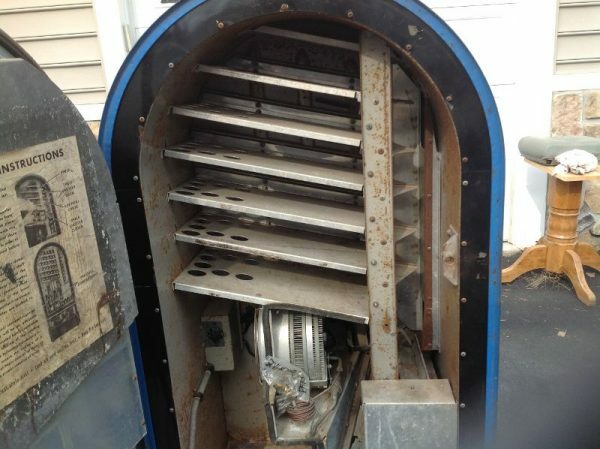 Has not been tested but we were told when last used over 30 years ago it kept soda cold. 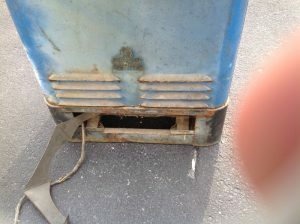 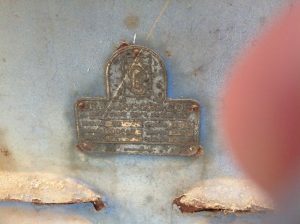 Will need restoration. Rare model to find in any condition…………….